Looking to sell an ultra-rare Yema Y11 diver. 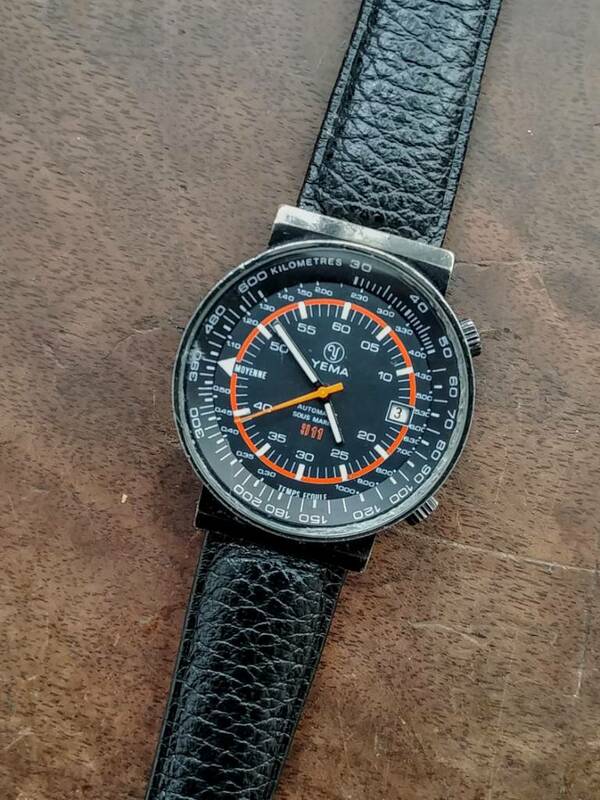 This watch likely dates from the late 70s to early 80s and appears 100% original. Watch features a running, 17 jewel automatic movement and an inner rotating bezel. Visible in pix are numerous nicks and small scratches present as you might expect from a tool watch used during this era. Also, the black coating is wearing in some areas with bronze patina underneath. Overall, it's a unique and very handsome piece! Dimensions are approx: 37mm w/o crowns, 39mm w crowns, 42mm lug to lug, thickness 12mm. Note: Watch comes on NOS Hirsch leather strap shown in pix. Asking $600 shipped to U.S. addresses. Paypal only please. Must have positive sales feedback. No trades.